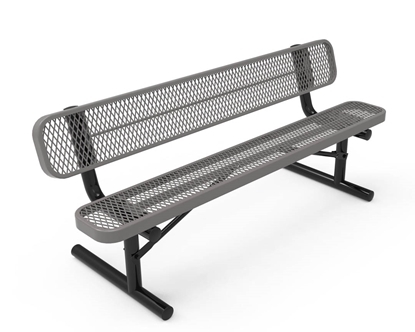 Our ELITE Series 4-foot Austin bench is a great place to go for children to make friends on the playground. The curved seat and back provide a relaxing place for kids to sit and have friendly conversations with each other. The fun designs make great additions to elementary schools, daycares, and playgrounds. 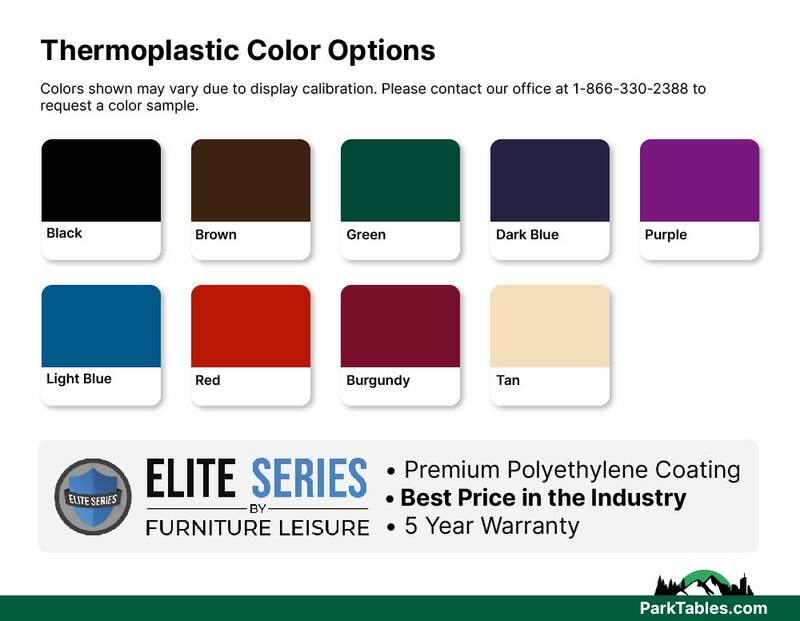 Coated with industry standard polyethylene, this ELITE bench is impervious to scratches, stains, and mildew. 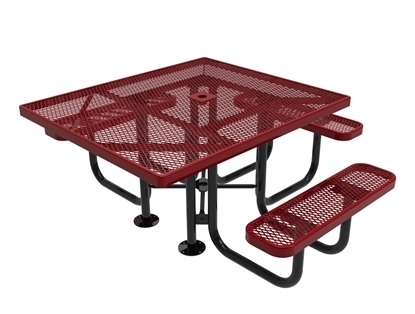 Constructed out of commercial grade slatted steel with a plastic coating for durability. 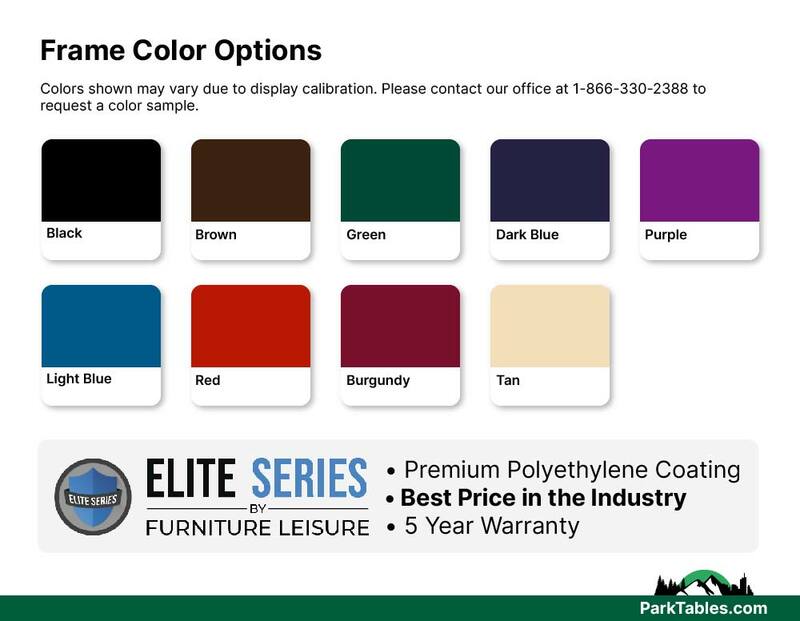 Our ELITE Series buddy bench is long-lasting at the best value. Have a design of your own that you would like to use? 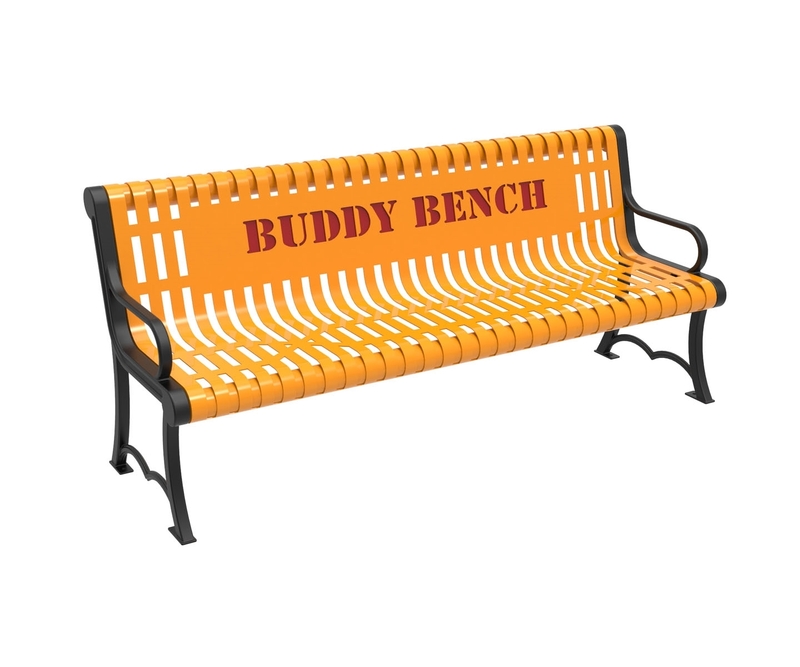 Send us your picture and we will send you a mockup with the logo on the bench. 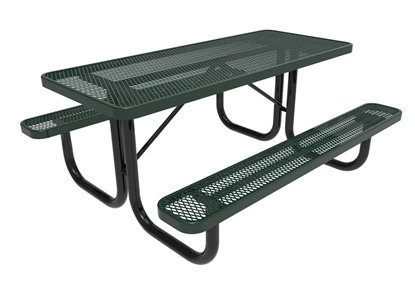 • 4 ft. Rectangular length with a contoured back.